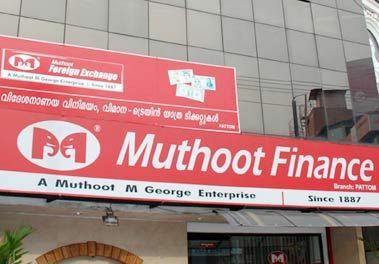 The shares of gold finance company, Muthoot Finance has recorded a fall of 20 per cent on Friday after the country's central bank, the Reserve Bank of India (RBI) introduced tighter rules for lending against gold in the country. The RBI said on Wednesday that announced tightened rules for lending against gold by the finance companies in the country saying that it will increase risks to the banking system of India. The central bank has said that the financial companies having half their assets in gold must also have a minimum equity capital or tier-I capital of 12% by April 2014 and these companies can lend only upto the 60 per cent of the value of gold jewellery. Such loans in the country have risen by the rate of more than 50 per cent in the last few years. The prices of gold have been rising in the country and thus many people worth out access to the banks used their gold to raise loans. Companies such as Muthoot Finance and Manappuram Finance have significantly increased their leanding in the country. These companies have borrowed significantly from banks and also through sale of bonds. This has increased the risk to the banking system in the country and the central bank is aiming to limit the risk and tighten the rules.